I was skeptical... but it changed! I'm healthier and happier, can't believe it was so simple. We are excited for patients & physicians. Now they can explore music listening as non-pharmacological treatment. IT WORKS! I thought it is too easy and simple to be true but I got the best BPM results ever. It has been shown that music therapy not only reduced blood pressure, heart rate and patient anxiety but had a significant effect on future events, including reinfection and death. TopoMelody enables you to measure and improve! Lead you the way while taking into account normal human weakness. Proceed to a different way of feeling at your own pace and ability. Have a question? Need a tip or suggestions? Let us know. 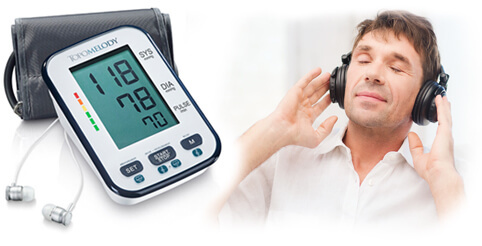 How accurate is a personal blood pressure monitoring device? What is a blood pressure monitor’s battery life?